The years were 1974, 1975 and 1976. Step back to those years in what was the active, peaceful city of Austin, Texas. The city is nestled hard against the banks of the Colorado River that knives through central Texas. This state governmental seat was changing as it always has and always will, even though no one but realtors seemed to care what it was changing into until it was too late. Although the home of Texas’s state government, Austin’s main claim to fame was the University of Texas. If ever a campus in this country could be called eclectic it was the UT. At least it seemed so to me when I first arrived at UT fresh from Corpus Christi, Texas. I was a down home Hispanic who had surfed, focused on athletics, always did well in school and had just completed an Associated Degree in Journalism from Del Mar College. I was ready for the big time, to study photojournalism at UT. I guess UT seemed eclectic to me because Austin was certifiably weird back in the 70s. The remnants of the love generation were still aimlessly walking the Drag, or Guadalupe Street, across the street from the main campus. My second day in Austin I walked into the Whole Earth Provision store a block west of the Drag and ran into a guy walking a real live wolf tethered to him by a thick chain. Marilyn Horne was singing at Batts Hall that year. The full Met production of Aida was due in the fall. The Darrell Royal UT football team was consistently winning. The Armadillo World Headquarters was headlining bands like Charlie Daniels, Marshall Tucker, Leon Russell and the Allman Brothers. And let’s not forget crashing the frat parties, the pill (long since perfected), cheap dope, beer was under $1 and rent below $250 a month. Yes Austin was a popular place in the mid 70s. I got there in 1973 and didn’t leave for another 13 years. If you ever walked far enough north on Guadalupe Street where it borders the UT campus, you came to the “red rusty building.” It was thus called because the façade was a failed experiment in exposed metal that painted itself into a red, rusty patina. I liked it for the simple reason that if anyone was searching for the Radio, Television and Film Department, the Journalism Department or the Communications School, that’s where you would send them. Inside its walls was also a thriving Photojournalism (PJ) Department, a subset of the Journalism Department. Leading the PJ department were J.B. Colson and Larry J. Schaaf. Both instructors were extremely talented and remarkably different. J. B. Colson studied under the direction of Clarence White for his BFA in photography and studied documentary film at UCLA. J.B. was just beginning the first of many excursions to Mexico for one of his favorite projects, documenting native life high in the Mexican Michoacán Meseta, a truly spectacular place. Larry J. Schaaf leaned more toward photographic history and his 8×10 view camera. He faithfully answered all the newbie questions he was asked and was my main instructor and counselor. Schaaf is now an independent photo historian, author and renowned expert on William Henry Fox Talbot, one of the creators of photography. Together these two instructors laid in a PJ curriculum at the bachelors, masters and PHD levels. Despite constant battles with administrators over paid lab assistants and other funding issues, it is a testament to them that in the mid-70s the program was producing well known photo graduates like David Woo (two-time Pulitzer Prize nominee), Rob Kendrick, Larry C Price (two time Pulitzer Prize winner), Mike A. Murphy, Tomas Pantin, Watt Casey, Ave Bonar, Frank Tilley and others who made a living with their cameras. I dare say that out of the 15 or so that began the curriculum when I did, most are still lurking somewhere in the photo business. What an understatement that turned out to be! I signed up for the course as did a few other PJ students. Over the next few years, when I had the time to schedule an elective, I took Winogrand’s class. I found it to be a contradictory complement to the PJ curriculum. Photographic excellence was nothing new to the UT Art School. The first photography instructor was Russell Lee, one of the finest documentary photographers that ever loaded a camera. Lee was best known as one of several photographers who worked under Roy Stryker in the Farm Security Administration (FSA) during the Depression. Lee was the most prolific of the FSA photographers, who included Dorothea Lange and Walker Evans, and he created some of FSA’s most memorable images. I can’t help but feel that in some unknown way, Lee also helped lay the ground work for the PJ program in the journalism department. Russell Lee’s classes were far more documentarian in teaching style than perhaps other art photography courses. He often said that he began his students with a view camera semester in order to teach them “how to see”. Interestingly, that is exactly what his charge was. He was not there to necessarily teach students how to become photographers, but to teach artists how to see. After that course the students moved “up” to 35mm cameras. Learning good technique, studying the work of important photographers and cutting students loose with projects was his approach. This was exactly how he learned photography. He had made a name for himself with his straight ahead type of imagery, a style perfectly suited to the period when his images excelled. And it was a teaching style that was comprehensible for college students. There was always a waiting list to enter his classes. Lee’s go-out-of-the-way-for-you courtesy and his gentlemanly manner made him a favorite professor among his students. His criticism could be sharp, though gently spoken, but it was always from the heart. It wasn’t uncommon for a few students to be invited to the Friday afternoon run to Taylor for beer and barbeque followed by some good Scotch. Lee, Colson, Schaaf and some PJ students including Mike A. Murphy, were usually the group. I still remember the day he autographed his book for me like it was yesterday; we exchanged some crude jokes in Spanish. Lee retired in 1973 and he passed away in Austin in 1986. It was evident from the first day of class that Garry was cut from different cloth than Russell Lee. Gary was not a classic documentarian photographer – if there actually is such a thing – and he certainly wasn’t a typical university instructor – again if there actually is such a thing. Garry had done some photojournalism and commercial photography, but that wasn’t why he was teaching at the Art Department. Things were pretty informal for Garry. I never saw him in a coat and tie in class or when he was interviewed by the media. Of course Austin was an informal city anyway. His shirts were often crumpled and holes were not uncommon. The reason was simple; his wardrobe was used for his outdoor style of photography. A well-used corduroy jacked served for dress up, other wise it was working clothes for Gary whether he was in the classroom or outside on the sidewalks. I had gotten a part-time job on the Drag at the University Co-Op in the stereo department. After classes while on the way to work, I occasionally saw Garry on Guadalupe Street. When I moved to a less expensive house in South Austin, I would see him in downtown Austin, usually in the vicinity of Congress and 6th Street clicking contentedly away. Gary’s classes were pretty relaxed too, but well suited for mentality of art photography students. Every student got an A in the class as long as they participated in the critique sessions and submitted at least six prints a semester for critique. I am not sure he kept track of who did and didn’t submit prints for critique. But rarely did any serious photography students miss the class and or not have at least six prints at each critique session. There was a lot of silence in his classroom at the start of each semester. Silence that is, until someone asked the right question and Garry would begin to explain his photographic vision. When you are twenty years old and the photography instructor begins lecturing on form versus content, or that a photograph cannot tell a story, or that there are no rules of composition, or that things are changed when you photograph them, or that a photographic print is an interpretation of the world by a camera, or that he didn’t develop his film for months or years after he shot it; things can get philosophical and confusing pretty quickly. Confusing is exactly what many first semester students thought of Garry’s work. He used to enjoy talking about his picture taking, deciding were to put the frame of the camera in the real world. For some classes he would show slides of his early work. By then I had purchased his “Animals” book and recognized some of the slides from that work. He would try to link his work with his methodology, plying us with interesting photographs and trying to teach us to see. Later we came to appreciate his intelligence. We appreciated too the way he literally shouted, full of confidence and the perfect understanding that his vision of the photographic world was not only right, but the only way to overcome all the obstacles, the only way to learn to “see.” If it weren’t, his message seemed to be, why take the photograph? If students were taking Garry’s class to learn photographic techniques and methods, they were sorely disappointed. Garry didn’t teach much technique. That was left to the PJ side of the photography world or to his “TAs”. You have a lifetime to learn technique, he seemed to be saying, but I can teach you what is more important than technique, how to see; learn that and all you have to do afterwards is press the shutter. Garry’s teaching style and methodology made it hard for college students to understand what exactly he was trying to teach us. I think he liked that. And he took that same approach with reporters and interviewers. He made those of us questioning him answer those questions for him. But to answer the questions correctly, you had to understand Garry’s vision. During my first semester it was clear that I didn’t understand his vision. At this point, I would like to link to an interesting story about Garry Winogrand by Mason Resnick for Modern Photography in 1988. Resnick took a two-week workshop with Winogrand. Resnick’s reaction was typical of most of Garry’s photography students except that Resnick had a much stronger photography background than any of us students in Garry’s class. Like Resnick, my first reaction to Garry’s teaching was stupification. What the hell was he saying? So I studied some of Garry’s photos and figured that if I had the same basic equipment as Garry my pictures would be just as good. I had a 20mm for my Nikon – heck it was EVEN WIDER than Garry’s trusty 28mm. Now my photos would be better than his for sure. Of course I was wrong; they looked like crap. Later (and this may have taken months!) the fog lifted slightly, albeit incorrectly. In studying Garry’s photographs I began to see how some of them were tied together graphically. My naïve reasoning came to this conclusion; if I take a photo of someone walking down the sidewalk with that building in the background and put a group of people at this exact spot – just like in Garry’s picture, then anchor the shot with a main subject, my shot will be as good as Garry’s. Needless to say, that didn’t work out too well either. But I had at least taken a step in the right direction. I had seen that the graphic content of Garry’s photos – what he would call “form” – played an important role in the success of the picture. Later on I began to see the headlights coming at me. If all the graphic elements are coming together, why do my photos still look like crap? Studying more of Garry’s work, I reasoned that not only were his photos working graphically, but something was happening in them. He would call this “content.” Garry repeated often this phrase; every photograph is a battle of form versus content. The good ones are on the border of failure. Garry would have hated that description because he was emphatic that photographs “cannot tell stories.” Yet every one of his did. Yes I admit that photographers cannot assume anything from an art photograph and yet Garry’s masterpieces tell stories that are clear to the viewer. That is one of the semantics games that Garry liked to play so we would learn “to see” on our own. It would have taken Garry all of five minutes to explain this theory but that wasn’t his way. He distracted us with semantic games so we could discover the process of taking art photographs basically on our own. Keep in mind that in the mid 70s you could smoke in class and countless pots of coffee were consumed. (Garry was trying to quit smoking at the time and was consuming mass quantities of caffeine.) Not surprisingly, classes were usually smoky but highly caffeinated adventures. Students would pin prints to the classroom walls. Some days there would be more than 100 prints tacked to the walls. Garry would start his sweep around the room stopping briefly here and there with the class in tow. (After seeing Garry shoot on the streets for the first time, I instantly realized that his print critique used the exact same technique as his shooting: confront, judge, capture and comment.) No one could size up a print in 1/500th like Garry. If he really liked a print he would stop and explain in detail what “was right” about the photograph. Of course if the shot was “done already,” “nothing happening here,” “no problem here” he was quick to let us know that too. Our reaction to Garry’s critiques changed as the semesters passed on. At first we didn’t really understand Garry’s photographic vision so we were scared to pin anything up there. Or at least I was. But as his “TAs” and advanced students began posting photos, we beginners did too. PJ student Larry C. Price and I took Garry’s class at the same time. Larry and I were both from Corpus Christi and had attended Del Mar College at the same time. We had a lot of classes together and did a lot of photography in the area together on weekends or between classes. We didn’t have any money to do anything else so we spent a lot of time together. To try to describe how good a photographer Larry is, I’ll just say that he is – I believe – the only two-time winner of the Pulitzer Prize for Photography and he did it for two different national newspapers. Larry pinned some absolutely beautiful images on the wall and while the rest of the students were gathered around admiring them, Garry took a look and walked on. That was a sign he didn’t like them. They weren’t Garry’s style; they were not his kind of art. Garry seemed to have a photographic memory of sorts. For one of my weekly Daily Texan assignments, I had shot a restaurant that featured belly dancing at lunch. I played around with some slow shutter speeds and liked the motion in those images the best. I submitted one to that night’s photo editor and it ran in the Texan the next day with a story by someone on the news writing desk. A few weeks later I tacked that picture on the wall and Garry instantly remembered seeing the photograph in the Texan. He didn’t like it. But he did like another I shot with a wide angle which offered the reaction of some of the patrons to the belly dancer. That was a particularly important turning point in my understanding Garry’s vision. For here was a classic confrontation of different photographic disciplines – a belly dancer caught waving her tutu around that the photo editor liked, but Garry didn’t. Yet he liked the shot taken moments later with the eateries’ patrons reacting to the dancer. Perhaps I was learning something not only about seeing and framing, but about photography. With so many prints pinned to the walls, Garry would choose ALL the prints he liked – which in some cases might be as few as one – and picked out several to critique because of they “didn’t work.” I remember one stellar day in Garry’s class once that was out of the ordinary. First he really liked five prints I pinned up. This goes to show that there is always something missing when it comes to critiquing art photography. Perhaps Friedlander, Eugene Smith or Kertesz might have liked these last three and not liked the first five. Or perhaps they would not have liked any of them, even the ones Garry liked. The fact that some element is missing in the universal recognition of art, even by famous artisans, makes us appreciate the art that is accepted as universal. Don’t for one minute think Garry Winogrand didn’t develop and print his film because he didn’t have the skill. He was a great darkroom technician. I always felt that for Garry, time in the dark room just didn’t rank as high as his shooting did. The one time I used the art department darkroom was when one of the TAs taught us how to develop Tri-X by inspection, the Winogrand way. Using dark green safelights, you let the Tri-X develop about half way then unspooled enough of it to check the density of the first few shots under the green light. Garry put yellow tabs on each roll of film that he shot that told him the lighting condition of that roll. Garry used development by inspection for every roll, and in my later classes I think Garry allowed one of the TAs to process a few rolls of his film. Garry use of inspection development was a bit different than the large view camera negatives where the technique was first pioneered. Gary used it to under develop his film to keep a printable density range (basically, keep the development “flat”). I never practiced it enough to become proficient at it but Garry and his regulars could certainly do it well. In the fall of 1975 Garry showed up for class with a broken leg and crutches. He was photographing a football game from the sidelines and got run over by a play. If memory serves me correctly he broke a leg and tore up a knee. (This is a hazard for wide angle photographers on the football side line, things are closer than they seem ;>). Of course Garry was not a happy clicker during this period because he could not do his style of photography for months. I didn’t take my four semesters of Garry’s class in straight semesters. I took the class when I needed an elective and I could match up free time from other classes and my part time job. Like me, many of the PJ students were repeats in his class. (You could tell us apart pretty easily, the PJ guys had Nikons or Olympus, the art clickers used Leicas or other rangefinders.) Over the years Garry came to know us over time and in some way sympathize for us, perhaps recalling his time as a photojournalist. some work because there were stacks of prints all over the place. He explained his Public Relations book project and showed me a pile of the prints he was reviewing. I can’t recall if he drank any wine or not, but I sure did. He shuffled through tall stacks of prints so fast that I couldn’t keep up much less review them. It was fascinating to watch him edit but then it was the exact same technique I had seen in many of his classes. He asked me if I was going into the photography business and I said yes. He replied that few photographers make any real money in the business but even if you are broke, it is worth it. When it came to conversation, Garry was very engaging. He knew what he linked and was happy to talk about it, and he pretty much did whatever he liked. Frankly Garry was a very intelligent, funny man who made interesting conversation especially when talking about non-photography topics like music and electronics. He talked with his hands moving and waving widely, they were part of his expression in the classroom or in his home. Once you got to know him, and for me that took several semesters, you couldn’t help but like him and admire him. Usually when I saw Garry photographing around Austin there was a large contingent of photographers around him. Most were probably his art major students. During one semester – I think it was during his “Color Photography” class (when we actually took color slides onto the street ) – our class joined Garry for some street photograph. There was enough of an armada around him that I would have thought it would alter the landscape of Gary’s subjects. But I guess he was used to altering the landscape of photography because he clicked away, often shouting out tips like “get closer,” watch your composition, no cropping allowed…He also disappeared after a while and left questions up to one of the TAs. Working photographers could learn a lot watching Garry shoot; his style was truly unique. He had an amazing athletic ability when he held a camera in his hand. Honed by shooting hundreds of thousands, or perhaps even a million exposures, his technique was amazing because he was always moving. He also had some idiosyncrasies. He would walk the sidewalks, often caressing his face with his camera. He would sometimes flop his Leica from his right hand to the left. No matter what Garry was doing with the camera, his eyes were always looking for the next shot. His head would turn side to side. He was like a predator looking for his next meal. And when he saw his target, his problem so to speak, he would instantly meter the light by experience (I never saw him use a light meter), look down at his camera settings, make any needed adjustments; then he would literally walk up to the subject and snap the camera up to his eye and instantly freeze long enough to press the shutter. Then he would keep walking past the subject all the while lowering his camera and a 1/1000th later he was gone. After the shot and if someone acknowledged him with a grin or question, he would tip the camera to the subject as his way of saying thanks. Sometimes he nodded his head at the inquisitive subject. I dare say that many of his subjects never knew they had just been photographed, much less photographed from two to three feet away. This was an element that enhanced many of his photos. His technique allowed him to get those natural expressions and actions from his subjects, especially New Yorkers where you rarely look people in the eye when you are close to them. I saved enough money to order a Leica CL and Schaaf recommended I buy it from Cambridge Camera in Chicago as they would have the cheapest price. I stuck a 28mm lens on it with a view finder and really enjoyed the camera. Gary saw me with it one day in class. He came over and held his palm out and I handed the camera to him. His verdict was quick. He told me that Leica must be trying to go out of business to make a camera like that. Later I bought a used M2 but I really liked the CL better and sold the M2 to Ave Bonar, one of the PJ students. Gary also saw some of my street work shot with a Nikon and a 20mm. He didn’t like what the ultra wide lenses did to straight lines and was not shy in saying so even though several shots made with that combination drew his praise. There was a big buzz in the PJ department one day. Lee Freidlander was in Austin. Where? At Garry’s classes! I had his class that afternoon and I was still surprised when Lee Friedlander walked in. Apparently he was in Austin visiting Garry. Garry had Friedlander go through some slides of his photographs in what was an interesting afternoon with hearty discussion about photography on the street. About year after I last took Garry’s course I applied to the Art Department to take it again. I was disappointed to learn Garry had left. He was off to California on another Guggenheim grant. It must have been a decade later when I read with true sadness that he died of cancer. 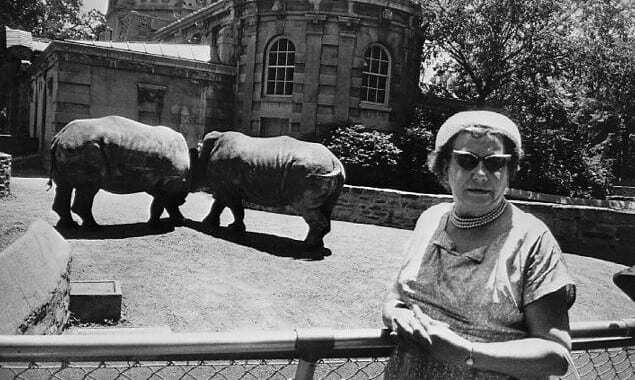 Two things come to my mind about Garry Winogrand. Garry taught at UT for about five years I believe. I am not sure he particularly liked teaching or not, but I always sensed a bit of frustration in him. Not necessarily from the teaching job, but because I felt he wanted to be outside doing his type of photography. He derived his greatest pleasure from the physical act of taking pictures – this is something he mentioned often in class – and yet he could not do it as much as he wanted. During his Austin years he was preparing two books, Public Relations and Women are Beautiful. Given his method of printing every image on the contact sheet for the selection process, and given his proclivity for the physical act of shooting, no wonder he wasn’t out on the street as much as he’d like. Yes he had to print, select and publish some prints to survive unless he wanted to teach the rest of his life. I don’t believe he wanted to do that. Had there been a way, I believe he would died a blissful death had he been on the streets clicking away and either letting the exposed film rot or letting someone else process and print them, and arrange the books and shows and collect the money. That’s how much he loved the physical act of shooting. Second, teaching photography didn’t relate very well to Garry’s own photography. In some ways you cannot teach art, you can only teach students how to recognize it. I think he struggled to talk about photography and be understood, just as his students struggled to understand it. I don’t know whether it was by design or accident, but his methodology worked for some of us. But it didn’t for some of his students who could never understand his vision. What is fascinating to consider is that Garry became famous for his quotes. Yet his dialogue about photography tended to be confusing and full of word games. But his quips about photography, when compiled end to end, provide a basic structure of his photographic vision that are understandable and concrete, if one can focus on them long enough to get through the semantics. And he did that very well. Posted in Artist Short List, Essays, Masters, Street Photography and tagged Essay G, Garry Winogrand, OC Garza, Street Photography.